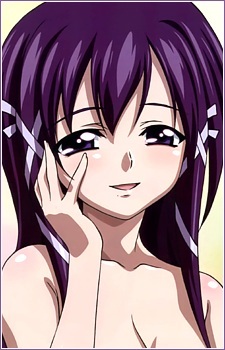 Mikako is an upperclassman to Tomoki and Mitsuki and the President of the Student Council. She is Sugata's childhood friend and the heiress of a Yakuza family. She is manipulative, cunning, highly intelligent, and most notably sadistic. Much to the distress of her friends, she forced to take supplementary lessons due to "failing in morals." Like Sugata, she is highly skilled in combat abilities. She demonstrates proficiency with firearms in her dreams, and during a wrestling match she lifts Sugata's entire body with one hand, KOing him with her grip strength of 400 kilograms applied upon his face.